Where can you look for such a process? Of all places, The U.S. Air Force. That’s right. The Air Force follows a very distinct strategy for making business decisions that applies to its fighter pilots in particular. They call it the OODA methodology: Observe, Orient, Decide and Act. Now, before I get deep into this concept, you may be tempted to assume that a concept made for F-16 fighter pilots doesn’t apply to your world. Not true. The reality is that OODA can work well for any professional that strives to move at a faster pace when making business decisions. How do you slow yourself down mentally while continuing to act in the present? You begin by getting comfortable with having a mental process for planning what you’re going to do. As you move through Observing, Orienting, Deciding and Acting, you’ll reset immediately back into the next cycle once you’ve acted. For some people, when the environment throws them a curveball, they’ll simply lack the wherewithal to deal with it. Specifically, those who can only execute on the original plan are often the same people whose plans will fail. Why? They simply cannot react to a new set of circumstances going on around them while making business decisions that are sound at the same time. For them, there is only Plan A. There is no Plan B. For the rest of us, when there’s a response in the marketplace, it’s not enough to have a sense of what your overall plan is. The fact that you’re executing all elements of a plan while making business decisions as needed at any given moment is wonderful. But we all know reality doesn’t always mesh with our best intentions. There may come a time when some pieces of our plan may no longer be relevant due to a myriad of factors. Just as a fighter pilot has to quickly move in a different direction based on all the factors before him or her, you need to do the same. Take the situation apart, piece by piece as quickly as you’re able. Evaluate: Which piece still applies? Which piece has to be dropped, at least temporarily? Then, move on it. The same holds true in making business decisions – the longer you put off deciding and acting, the longer you may open the door to greater risk in many forms, from internal dissatisfaction to competitor advances on your customers. Time waits for no one. Can Speeding Up Actually Calm You Down? 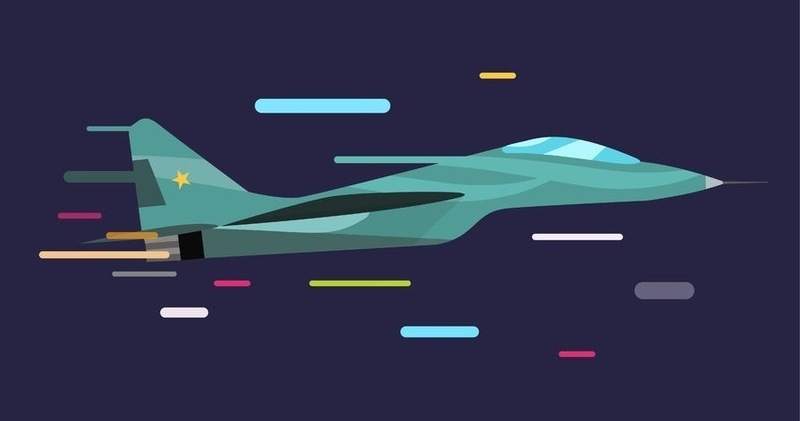 You would think that a very deliberate process based on swiftly moving from one stage to the next like OODA would induce anxiety, especially when making business decisions under pressure that are sound. However, for many leaders, it’s just the opposite. OODA actually has the potential for bringing anxiety levels down. Even if you’ve planned everything out with great confidence, new challenges will always arise. That’s life. Let’s say you’re currently present in five markets and a new opportunity is going to catapult you into an additional 25 markets. That opportunity won’t wait for you to debate it endlessly – so it calls for you to Observe, Orient, Decide and Act upon it, one way or another. How does this opportunity change our business? Is this an opportunity that’s really just about scaling or are there different things we need to consider? Is this opportunity going to change others’ expectations of us going forward? How? How will this opportunity change our business strategically? Financially? From a human resources level? As a result of dealing with a new challenge, opportunity, threat or other unexpected event that wasn’t part of your original plan, it’s okay to make peace with the reality that the nature of your business may change as a result. However, even in the face of sudden change, your core way of doing things as a business should not change as a result – and there’s a big difference. Fighter pilots know that the nature of their flight plan can change in a heartbeat, too – but they know that the way they work through the problem doesn’t need to vary wildly. As a result of dealing with a new challenge, opportunity, threat or other unexpected event that wasn’t part of your original plan, it’s okay to make peace with the reality that the nature of your business may change as a result. When there are countless variables for change, it’s good for leaders to have a source of stability they can count on. So consider using a methodology like Observe, Orient, Decide and Act (OODA) as that type of constant in your planning process when making business decisions. Even if you have five issues on the table and they all demand a different type of response, this consistent approach can help you respond with a purpose.